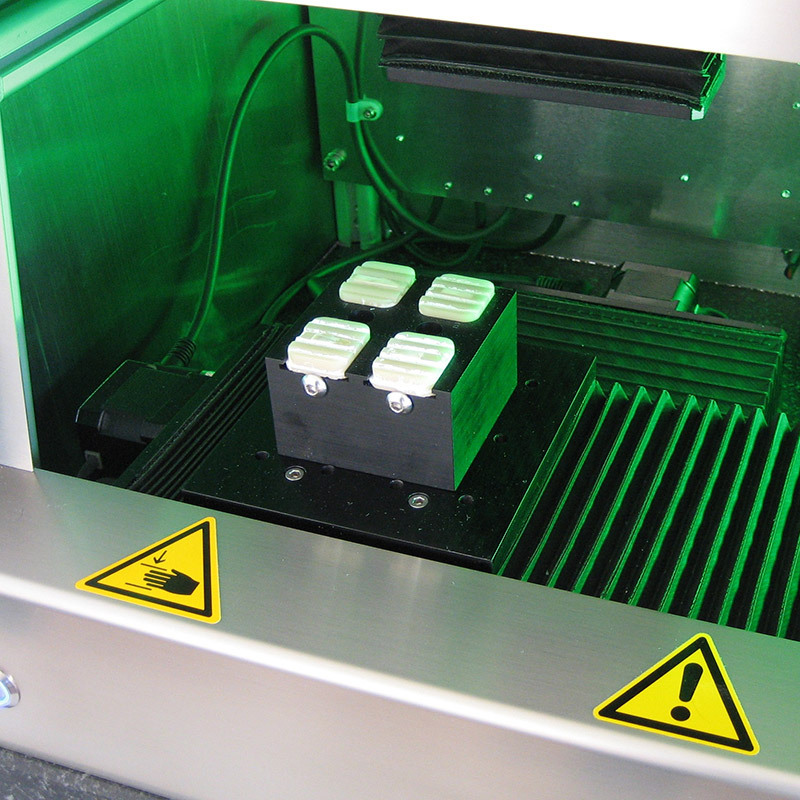 Confocal chromatic sensors are used to check the surface topography of dental samples. These sensors are distinguished by their high resolution and independence from the type of material surface involved. The desired area on the object being measured is marked by software. The system is used on surfaces such as plastic, paper, nonwoven fabric, glass or metal.